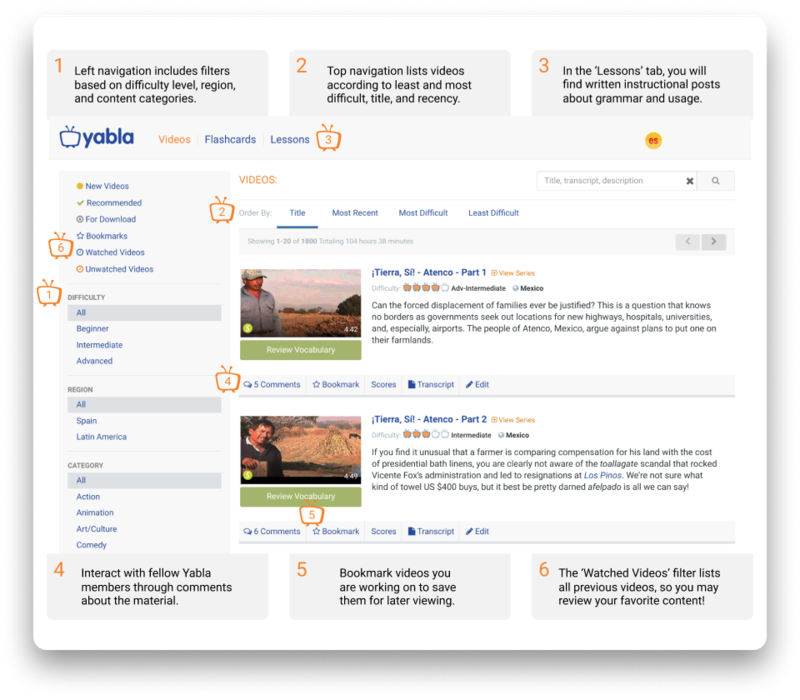 Yabla is a personalized approach to language acquisition. We provide video content and tools for passive and active learning. Our interactive video player, flashcards, and games increase conversational understanding and vocabulary. We recommend browsing according to category and difficulty level. Our library contains over a thousand videos in each language. All films, television episodes, and clips, are broken into learning segments. Deliberate engagement with our content will improve your language retention. 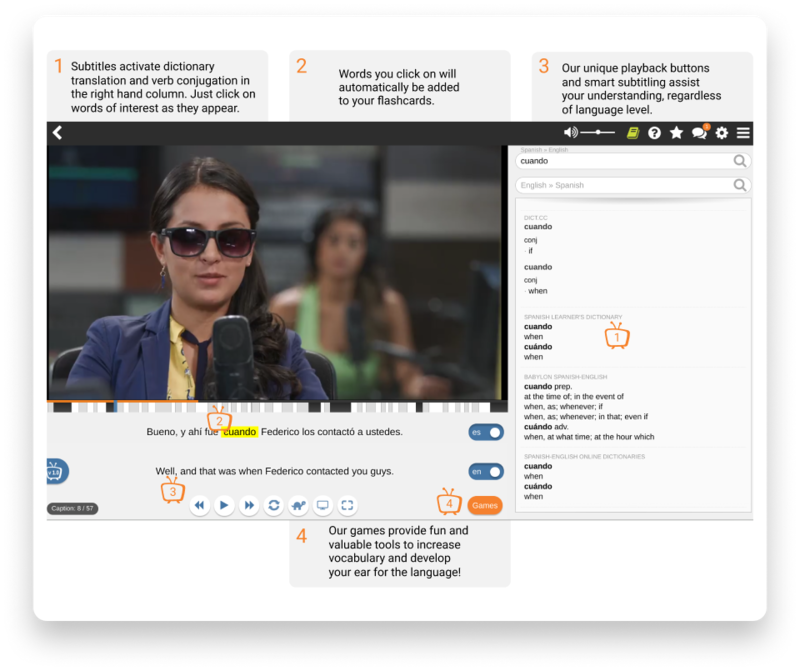 Watch and listen to the same video multiple times while toggling the captions on and off. We suggest you do this until words are distinguishable and listening is natural. Our games are built to tune your ear, increase vocabulary, and maintain motivation. 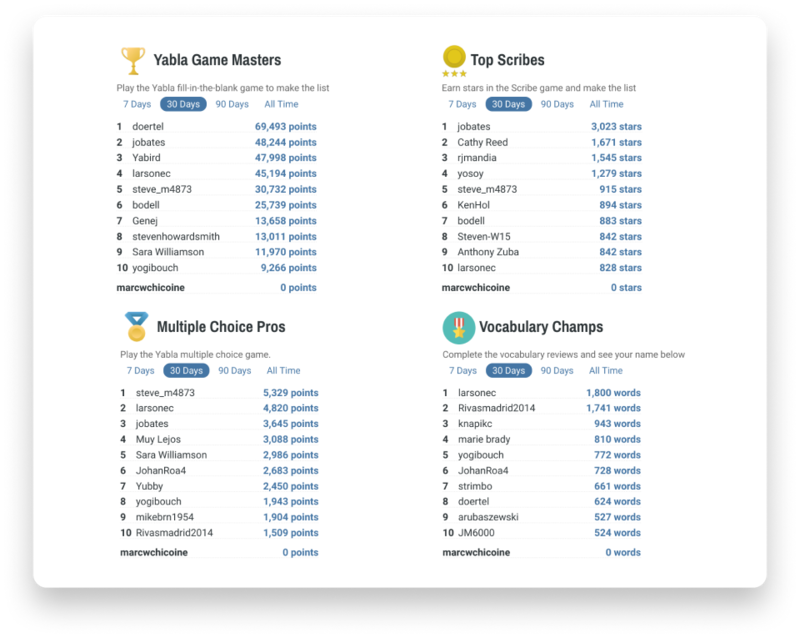 We recommend our game Scribe to develop your understanding of the language in real world conversation. Check out your scores and monthly summary to track your progress. As you improve you will increase your ranking on the group Leaderboard! The most important approach to language learning is consistent practice. Relax and dig in. Thanks for joining the Yabla community!